The flurry of contract extensions around Major League Baseball continues. 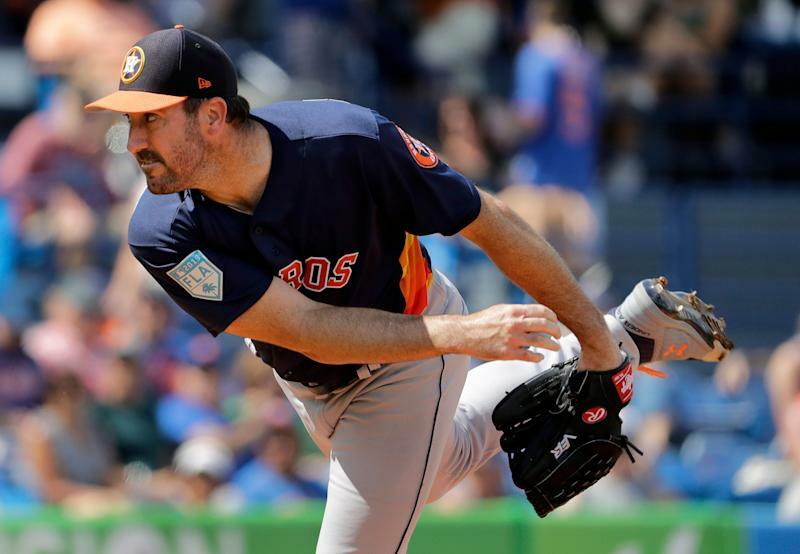 This time, the Houston Astros have reportedly completed a short-term extension with ace right-hander Justin Verlander. MLB.com’s Brian McTaggart reported that the two sides had hoped to reach a new deal before breaking camp on Sunday. That loose deadline has been met. Jon Heyman reports it will be a two-year, $66 million deal that will pay Verlander the highest annual salary ever for a pitcher. Verlander, 35, came to the Astros from the Detroit Tigers in a landscape-changing trade in August 2017. The Astros parted with three prospects to land Verlander. The price tag proved worthwhile after the former MVP and Cy Young winner became a driving force in their run to the 2017 World Series. The championship was Houston’s first in franchise history. Verlander’s production had slipped slightly during his final months in Detroit, but he was instantly revitalized after joining the Astros. He posted 1.05 ERA in five regular season starts and a 2.21 ERA in the postseason, which included a rare relief appearance. The Astros were 9-1 in games started by Verlander. In 2018, Verlander was back to being a full-time elite ace. He finished second to Tampa Bay’s Blake Snell in the AL Cy Young voting after leading the league in strikeouts (290), WHIP (0.920) and strikeouts-to-walks (7.84). The Astros are counting on that production continuing. With Bregman and Verlander locked up, the attention will now turn to pitcher Gerrit Cole. The 28-year-old right-hander will be a free agent following the 2019 season, but the Astros would obviously love to keep their 1-2 punch together. At this point, Cole says no negotiations have taken place. The Astros will be relying on Verlander and Cole even more so in 2019 with Lance McCullers Jr. lost for the season due to Tommy John surgery and Charlie Morton now with the Rays. Former Cy Young winner Dallas Keuchel remains a free agent but isn’t expected back in Houston.